This is a weird day thanks to the way Christmas falls this year. As with most churches, we celebrate Christmas on Christmas Eve at night. But this morning, we’re not quite there. Don’t jump the gun on your celebrations just yet. 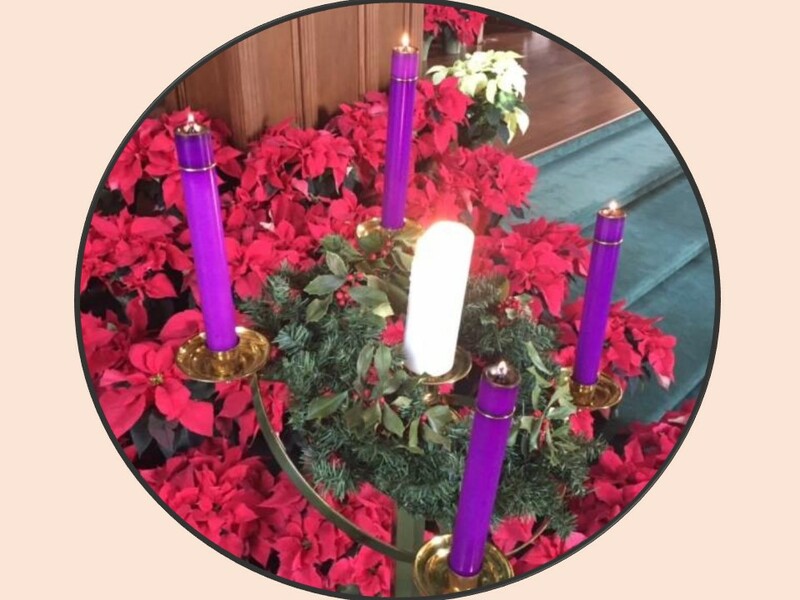 It’s not Christmas, but the fourth Sunday of Advent. 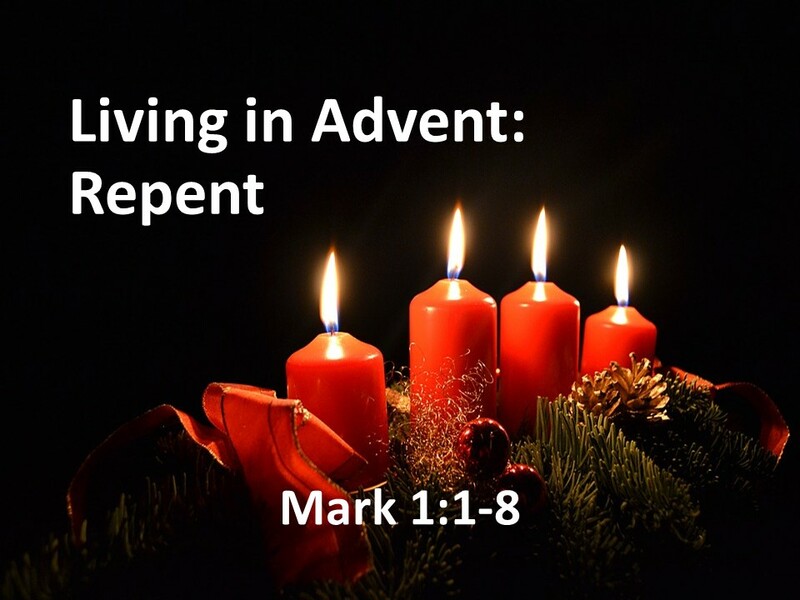 We’re still waiting and as we’ve done through this season of Advent, we’re looking at passages from Mark’s gospel to give us a better view of this world in to which Jesus came. This morning we’re looking at John the Baptist. He plays an important role and if I’d followed the traditional readings of Advent, he’d take top billing for two Sundays. One of the Spiritual practices I enjoyed this year was listening daily to the Advent readings and prayers developed by the Church of Scotland, our mother church. I highly recommend these short videos as they are well done. Before reading the gospel text, let’s watch this video about John. I’m sure many of you know that Mark skips over the infant narratives of Jesus as found in Matthew’s and Luke’s gospels. In Mark, as in John, there are no stories of humble mangers, gawking shepherds, or gift-bearing Magi. But all four Gospels have stories of the wild man in the desert. Before we can get to that cuddly red-cheeked baby, we encounter John. John’s not the kind of dude you’d invite to a Christmas cocktail party. Could you image him in such a setting? Not exactly dressed to impressed, his camel-haired clothing isn’t a fancy sports coat. And heaven help you if he brought a dish to pass. Expect it to be an appetizer consisting of dead bugs soaked in honey (and I bet there’s not nearly enough honey for my taste). And the small polite talk in the parlor will soon be interrupted as John starts pointing out people’s sins. He’s known to call folks a brood of vipers, which wouldn’t exactly endear him to other guests. When he starts preaching and waving his arms, he’ll knock over drinks and offend guests. I’m pretty sure you won’t make the mistake and invite John back the next year. That’s probably be okay with him. He has problems with polite society. 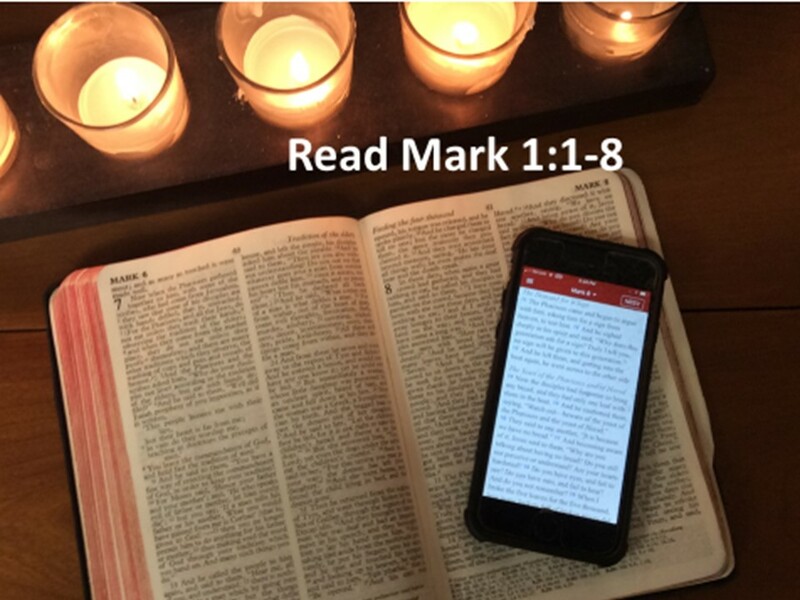 “The beginning of the good news of Jesus Christ, the Son of God,” Mark’s gospel begins. From the very first sentence, we are told this is a story of Jesus, but as I said, gospel writer doesn’t take us there right away, we have to first encounter John. But before dealing with him, let’s look at this opening sentence which sets the stage. It’s important for us to understand this sentence in the context it was written. 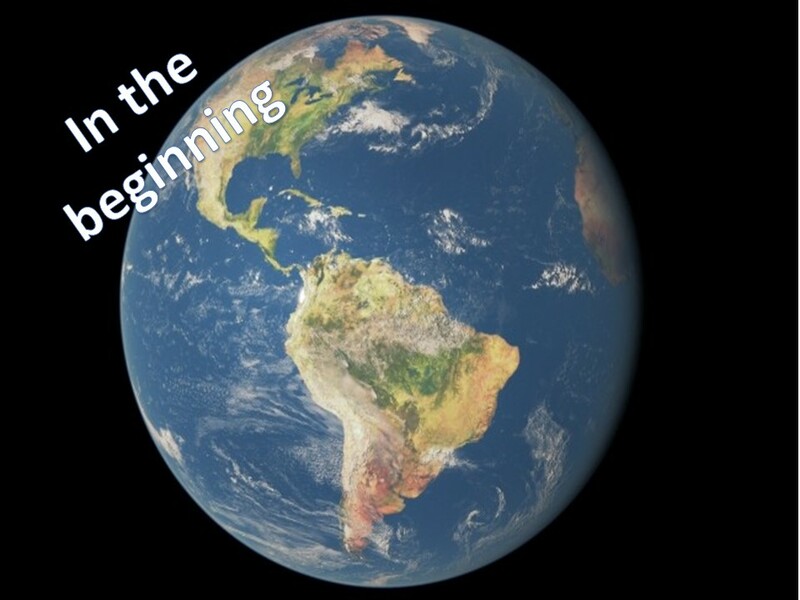 First of all, “the beginning” takes us back to “In the beginning,” at the opening of Genesis. We’re reminded that the beginning starts with God’s action leading to creation, just as the coming of Jesus is a God-act. God is doing something new. God’s action is reason for the good news, or the gospel as it can also be translated. However, the Greek word here (evangel from which we get the word evangelical) doesn’t come from scripture. Before it was a Biblical word, it was a political word. 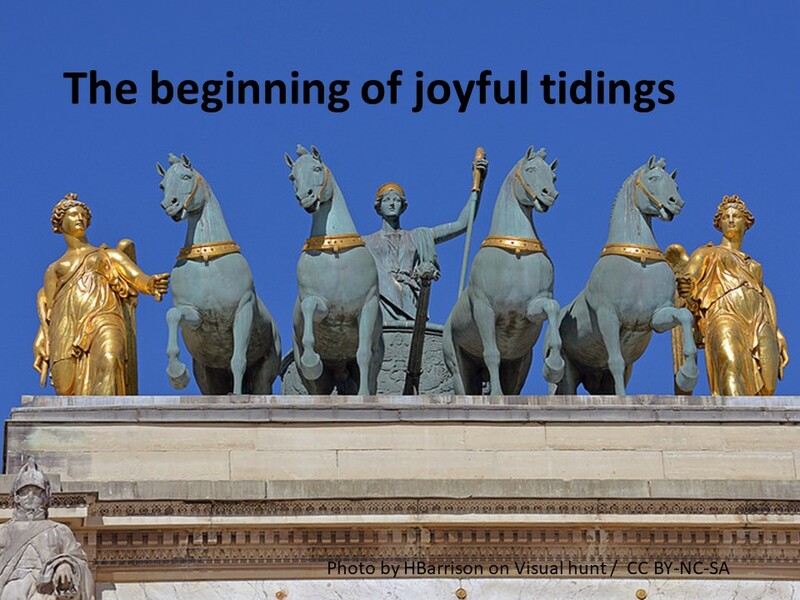 We associate it with “joyful tidings,” but so did the Romans of the first century who would celebrate when Caesar approached. In year 9, decades before the Gospels were penned, a calendar found in Asia Minor noted Caesar Augustus’ birthday with the inscription, “the beginning of joyful tidings.” In the Roman world, this term marked a new political situation in the world. Drawing upon this, Mark makes it clear that Jesus’ coming is a new situation for the world to celebrate. Just as the church took the Roman cross, a symbol of torture and shame, and reinterpreted it as a symbol of freedom, the good news no longer applies to Rome but to Jesus. 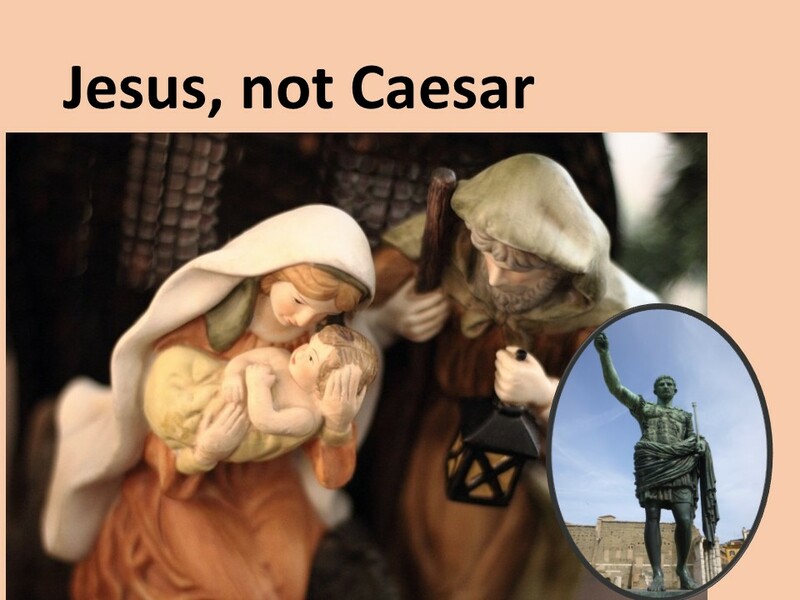 It’s Jesus, not Caesar. Jesus is the good news. 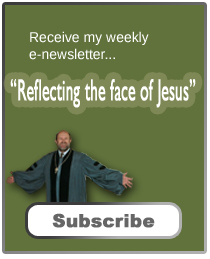 Drawing on the prophetic tradition, the gospel writer proclaims that Jesus is the promised one. But before Jesus comes, the world must be prepared and this is where John the Baptizer enters. The gospel of Jesus Christ begins, not in a manager, but out in the desert with this wild man. 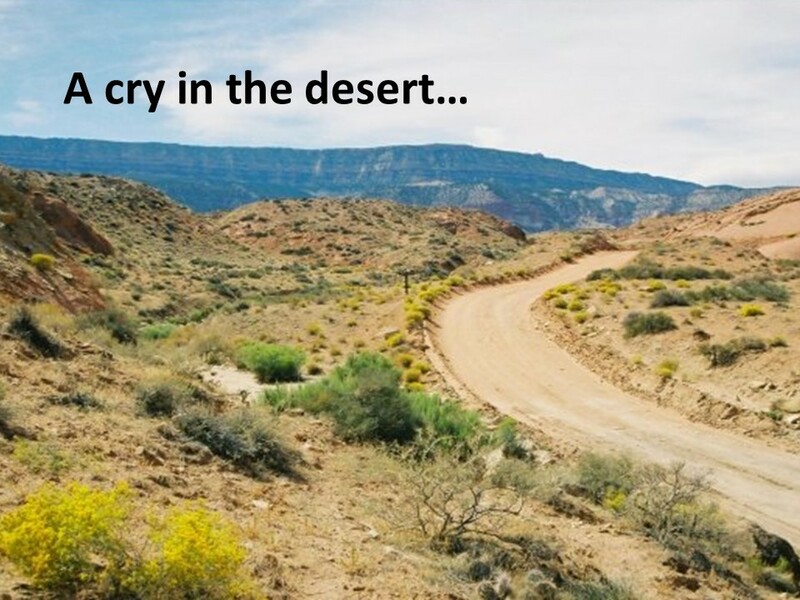 Like a coyote, he’s a voice crying in the wilderness. 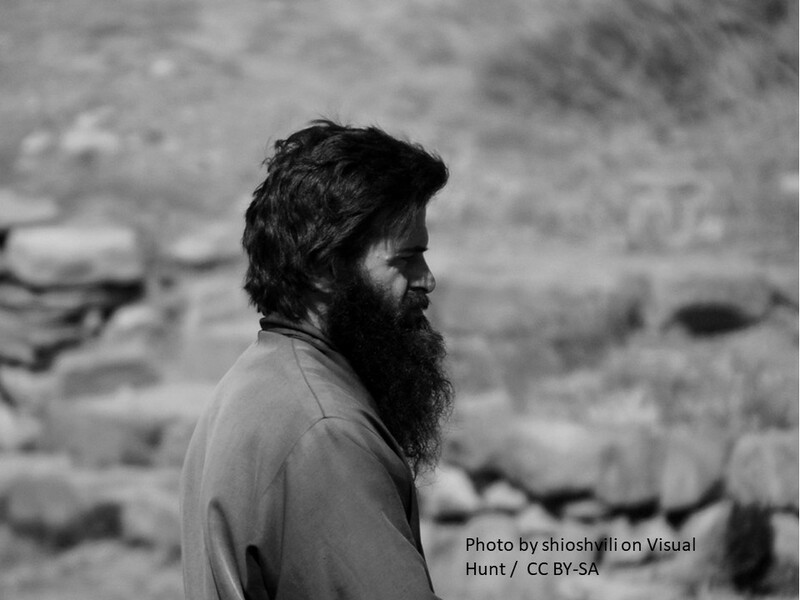 He’s an Elijah, the prophet who was nurtured by ravens, the prophet who found solace in the desert. He has come to prepare the way. He’s the prophet that calls us to leave all that is comfortable behind and to travel into the wilderness. And we’re not going to a spa. When we arrive at those muddy banks along the Jordan, we’ll have to confront our sin so that we might repent and be baptized. He’s also the prophet who knew his place. He wasn’t the one coming, just the one who opens the door for the Messiah. John was a prophet who came into a silent world. Israel hadn’t had any prophets in centuries. Were their prayers being heard? Being answered? I am sure many of the Jews were wondering if they’d been abandoned as they felt they had for four hundred years in Egypt. But then John is heard bellowing in the wilderness, telling people to prepare for and to expect the coming of the Lord. His message was heard as people flocked out to the Jordan, where they were called to repent and, as they came up from the waters of baptism, to start a new life. John was a humble man. He didn’t exploit his popularity. He stayed focused to his mission, noting that the one coming was so great that he wouldn’t be worthy to untie his shoes. John didn’t even think himself worthy of serving as Jesus slave. Yet, we know that like John, Jesus, too, was humble. Although born a king, he didn’t exploit his position but assumed the position of a servant, washing the feet of his disciples. There’s a lot we can learn from these two men and how they handled the power bestowed upon them. Advent is a season of knowing we’re in trouble and we need a Savior. But as the Savior came that first time, on his own terms, not in a way expected by the powers-that-be in Jerusalem, so too he will come to us on his terms. We must prepare ourselves. We must make room in our hearts in and our lives in order to receive the child born in Bethlehem. But we can’t stop there for we must remember that that child grew up and walked the dusty roads of Galilee, calling people to follow him. And that man taught the disciples and the multitudes to love God and neighbor, to show mercy, and to be at peace. Tonight we celebrate his birth, his coming, but for the rest of our live we’re called to follow him and to live as he taught. John was sent with a mission. 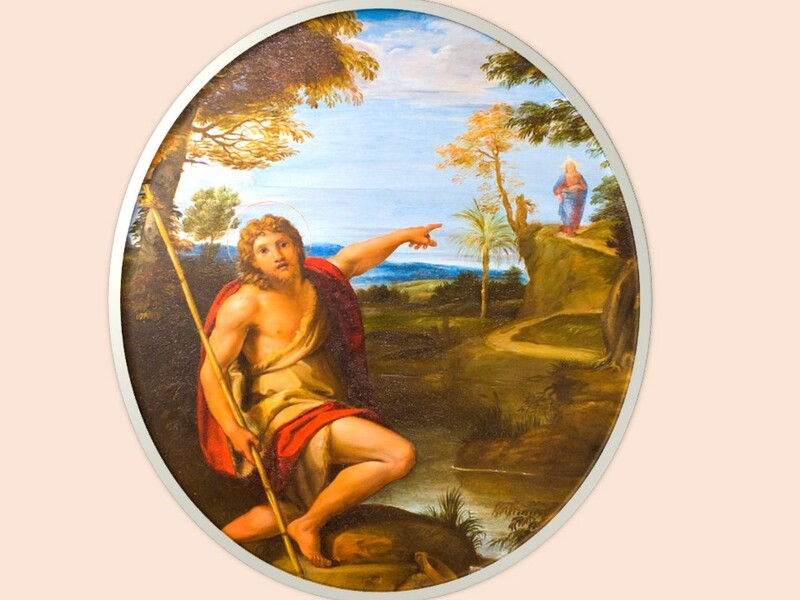 He was to point to Jesus. Jesus calls us for a mission, too. We are to point to him and to continue to do the work he started there is Galilee. This season, as we enjoy the lights and the joy around the tree and at the table, let us not forget that we are celebrating the birth of a King and a Savior. Let us not forget that we live for him. Like John, we’re not worthy of untying his sandals, but Jesus loves us enough that he’s willing to wash out feet, to wash our sins away. Jesus loves us enough he’s willing for us to be his adopted brothers and sisters. And Jesus is the hope we, as Christians, have for the world. Let us prepare a place for him in our hearts so that we can show his love, reflect his face to the world. Amen. Matthew 3:7 and Luke 3:7. William L. Lane, The New International Commentary on the New Testament: The Gospel of Mark (Grand Rapids, MI: Eerdmans, 1974), 42-43. Scott Hoezee, Elizabeth Steele and Carrie Steenwyk, “Living in Advent: Worship Ideas for the Gospel of Mark,” Reformed Worship #89 (September 2011), 10-11. See Mark 9:11-13. See also Malachi 4:5-6 and 1Kings 17:5-6.